I love to mountain bike! 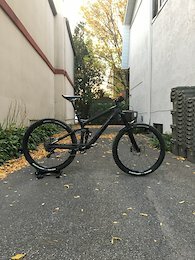 Selling my Trek Remedy. Bought as frameset and built up Full carbon front and rear triangles Rock Shox Pike RCT3 Sram Eagle GX drivetrain Bontrager Line Carbon wheels Shimano XT 4 pistons brakes Renthal handlebar Bontrager Line Dropper Fizik custom 1 off saddle Bontrager XR4 tires Bike has normal 1 season wear and tare. Willing to ship anywhere in Canada at buyers expense. 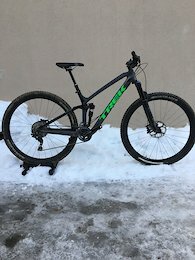 would be very curious to know how much variation I get on my fat bike in the winter depending on how warm it is inside vs outside. Maybe add to Wahoo aswel? Ridden only one year. Frame is mint. Normal 1 year wear and tear with the exception on some scratches on the handlebar. The bike has always been professionally maintained. The fork was recently serviced by S4 and the brake levers have been replaced to the V2 version. The dropper seat post has also got its annual service recently. The bike is stock with the exception of the deity grips and tubeless upgrade. 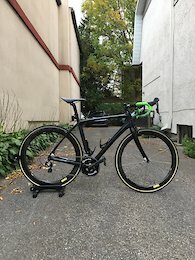 Selling with stock bontrager saddle. 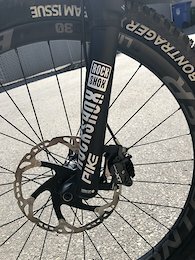 XT pedals included. PM me for more info.